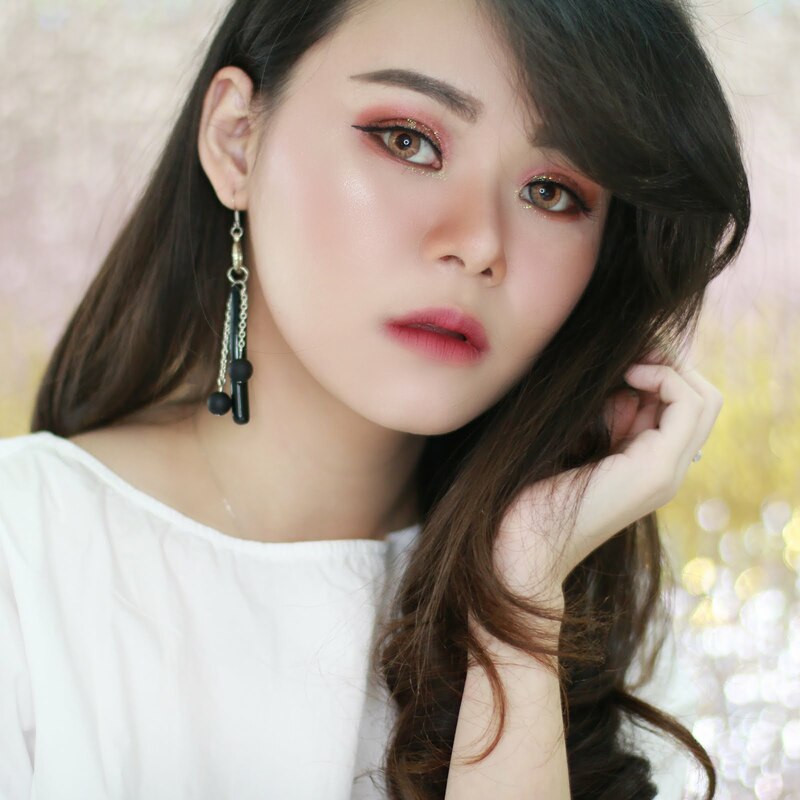 Some of you might already know that I am one of the finalist for Indonesian Beauty Blogger, March make up challenge x Menard Indonesia and cause of all of you (and my friends of course) I win this competition *yeaih yeih yeih... my very first achievement*. One of the prize is free facial by Menard Facial Salon. So today let me share about my experience with Menard Facial Salon. Menard Facial Salon is very different compare to another facial salon. Most of facial salon will make you back home with swollen and red face .. But Menard Facial Salon is totally different, It's more like you have relaxing massage and luxury mask. As you can see from the picture above, Menard have 6 different facial type depends on you skin type and problem. 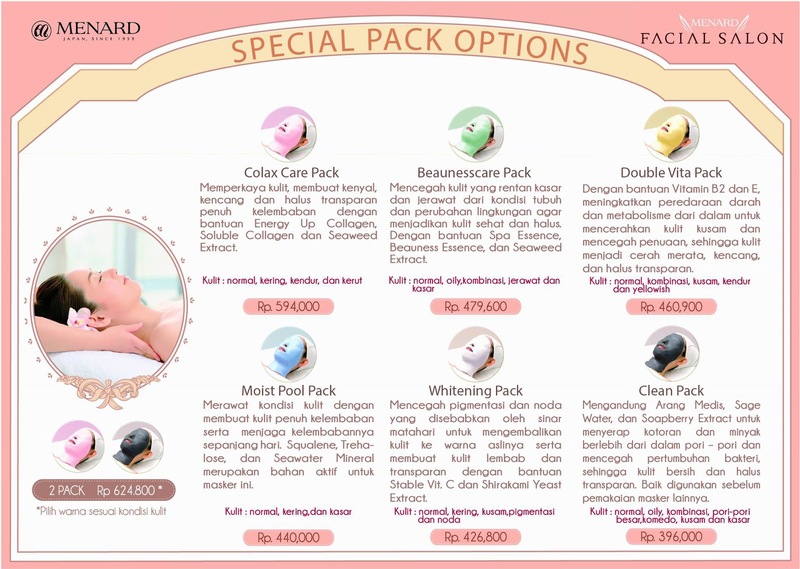 The price is around 390.000 - 600.000 IDR depends on the facial pack type. 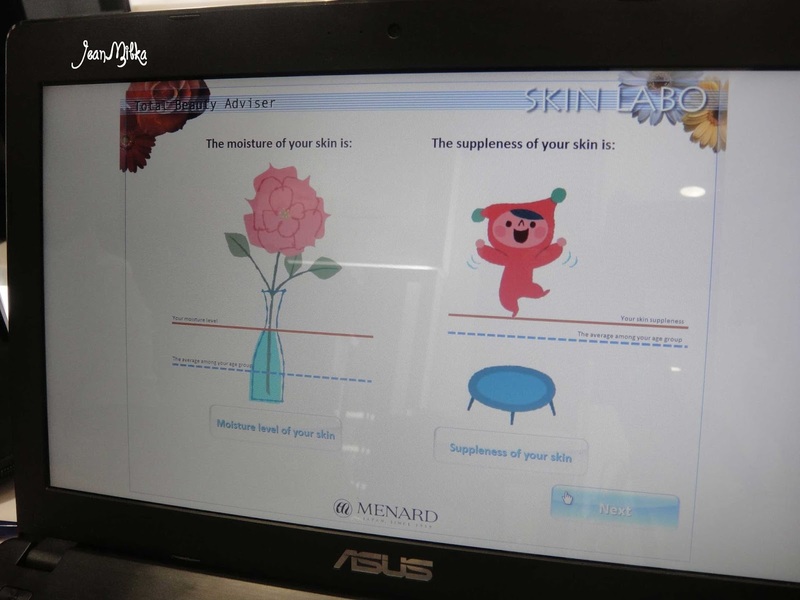 First of all they will analyze your skin type and problem with a fancy machine called Menard Total Beauty Advisor (MTBA). 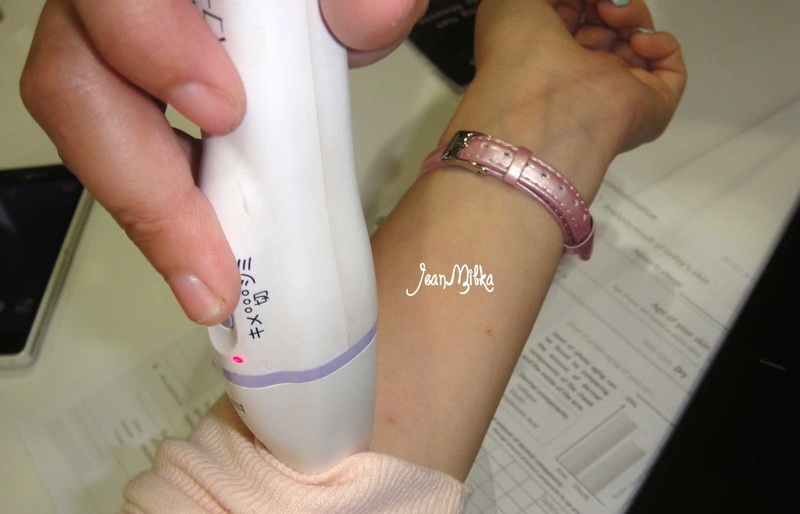 MTBA will compare your skin around the face with that one around your arms. 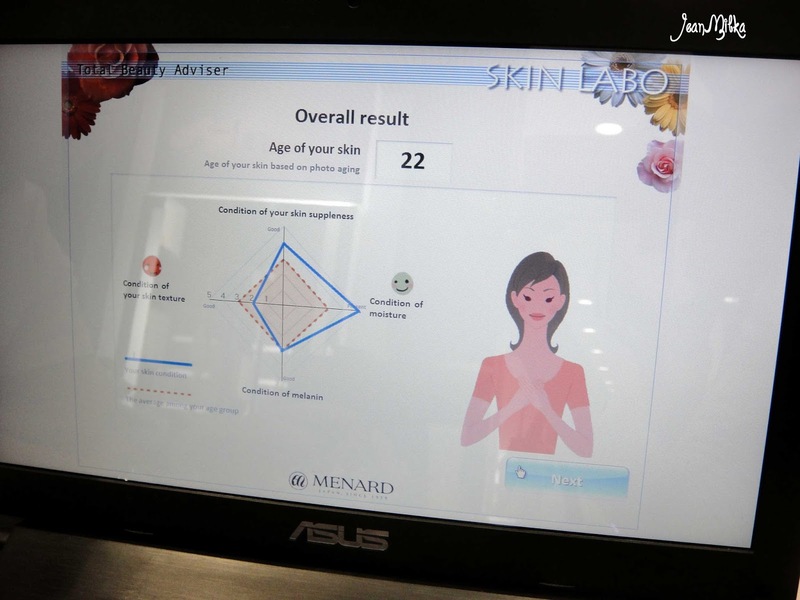 This fancy machine also measure our skin ages... sometimes even if your young but your skin can be older than our real ages which is not good at all. My result is 22 years which is same with my age. I have chance to try the Clean Pack facial. It's actually same for me and Raden *another winner for this competition* and I am so happy cause this is suit my skin problem which is oily, pores, dull and rough. 6. Hebmask : Herbmask is useful to remove death skin also smooth and moisturize the skin. It's also help another product to absorb on your skin. 8. Beauness and Cooling : One of popular toner from Menard is Beauness, in this step the beautician will spray the Beauness S and tap a cold towel on your skin to calm it and close the open pores since our skin was steam during the process. Clean pack contains medical charcoal, sage water, and soapberry extract that useful to absorb oil from pores and reduce bacteria activity so the skin will clean and smooth. It's recommended for any skin type also good for oily skin type, and acne prone skin. 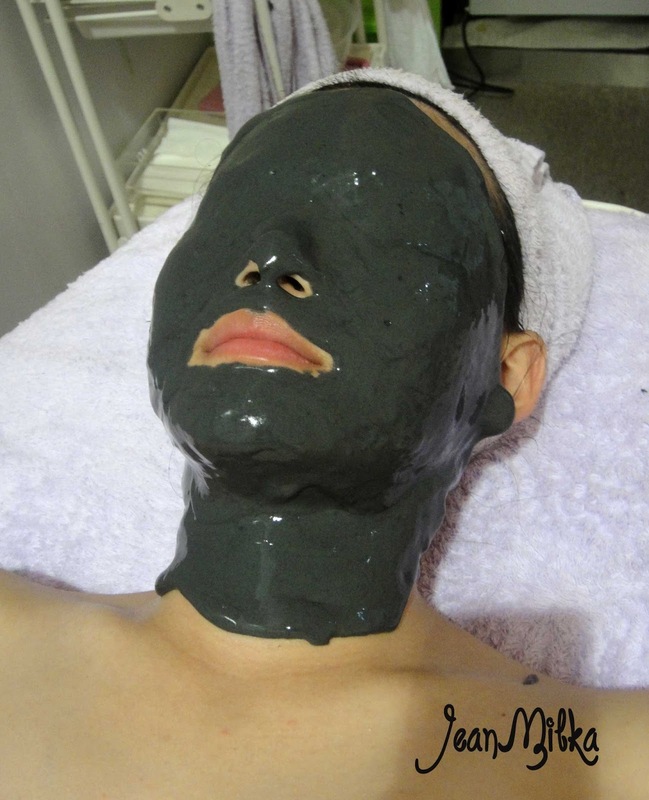 It's also good for people with pores, blackheads, dull and rough skin. One box of facial pact is one time use.. no wonder that the price is quite high. Menard facial pack is powder texture that mix with water and it will turn into gel texture. 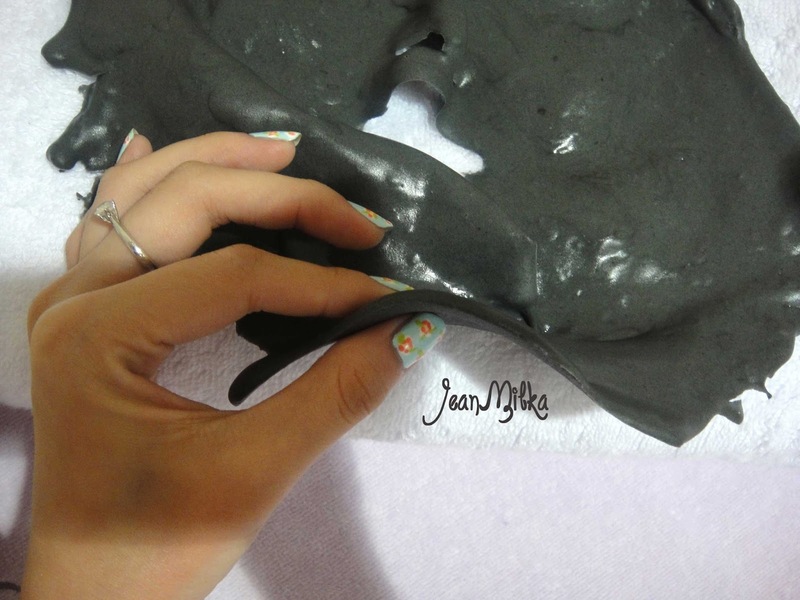 This is my first time tried a mask with gel texture. As you can see from the picture above, It's quite thick and it's feel refreshing on my skin. It's very easy to peel of just like you take off a sticker from your face. First of all I will said that this is the most relaxing facial I have ever tried. Usually I always feel the pressure when it comes to deep clean the blackheads since it's so d*** hurting #_#. While Menard facial salon didn't include that stage but include the massage part. 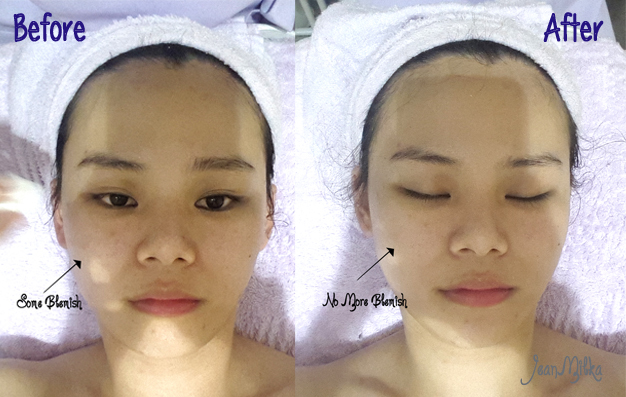 I also can see that my skin looks brighter just right after the facial. This picture might can't describe very well, but as you can see that some of my blemish is magically gone. Readers : have you tried Menard Facial Salon? which pack you tried and what is your opinion? 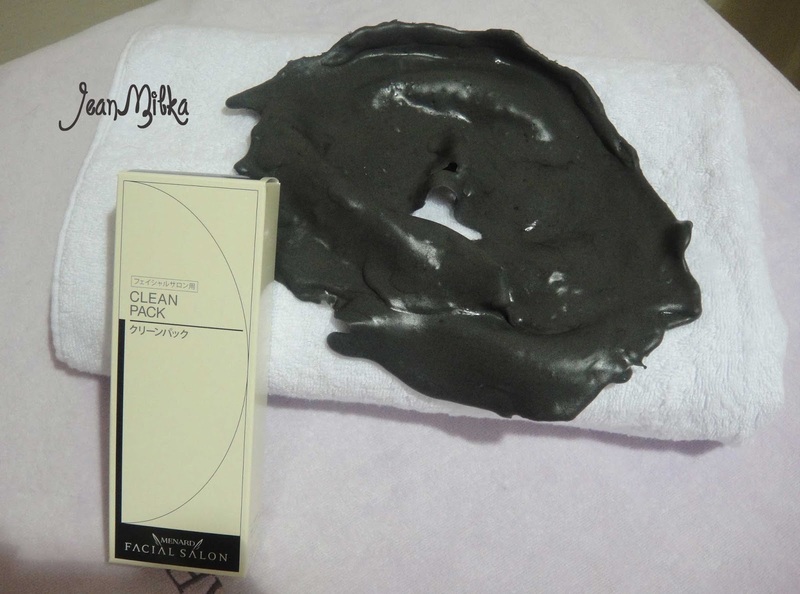 5 komentar on "Clean Pack Facial with Menard Facial Salon, such a Relaxing Time"
Hi Jean, Thank you for sharing. I really enjoy reading your blog. :) Btw untuk yang 2 pack pilih warna mask sesuai kondisi kulit itu untuk 1 orang atau bisa ber-2?